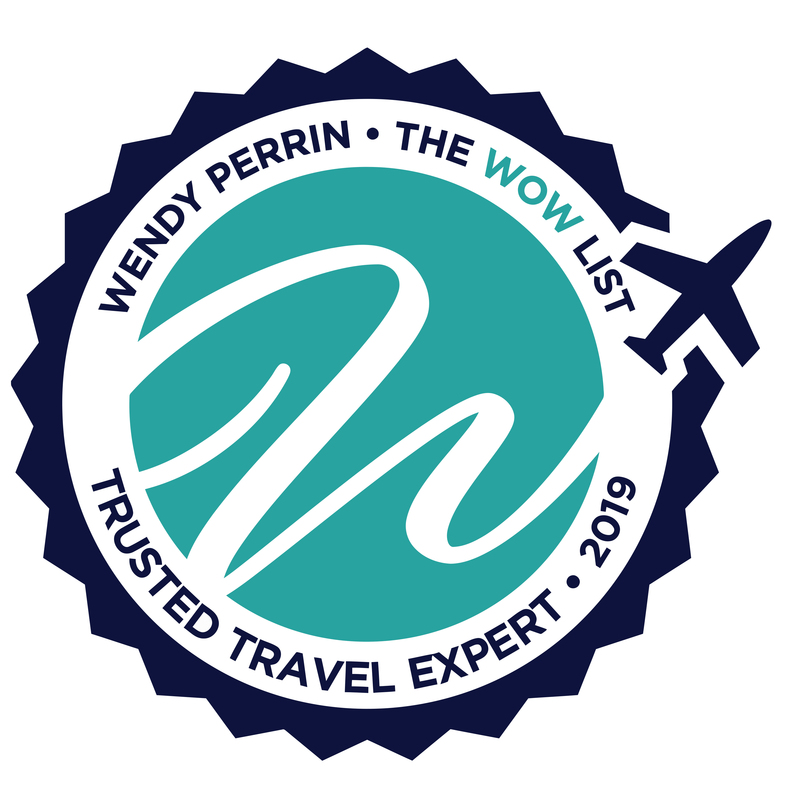 Judith Root is on Wendy’s WOW List of Trusted Travel Experts for her expertise and connections in Alaska. The reviews below are from real travelers who’ve taken trips that were arranged by Judith and monitored by Wendy. Don’t miss Judith’s Insider’s Guide to Alaska. I love to travel and typically enjoy planning my and my husbands trip myself. However, since the vastness of Alaska presents so many logistical challenges, I decided to try working with a Wendy Perrin expert for the first time. Boy, am I glad I did! From our very first conversation, it was clear that Judith Root was actually listening to me, and not trying to sell me on a “canned” trip. After much discussion, Judith presented me with at least three iterations of our trip and patiently stated that she would tweak our itinerary as many times as we needed. I’m sure we presented a particular challenge for her, as I explained that we love to view nature, but not necessarily engage with it! In addition, we decided to take this July trip sometime in late winter/early spring, which did not leave a lot of time to secure reservations. In spite of the aforementioned challenges, Judith nailed the trip planning. Her colleague, Andrea Clarke, provided invaluable assistance in the trips execution, deftly dealing with a couple of minor glitches that we experienced while we were traveling. As a result of Judith’s impeccable planning we were able to cover a lot of ground–from a flight with the midnight sun to visit a community near the Arctic Circle; to a stay in Denali at a backcountry lodge which included a spectacular flight over the mountain; to a visit to the ski resort of Alyeska, where we took a helicopter that landed on top of a glacier (amazing); to the remote Kenai Fjords Glacier Lodge, where we hiked, canoed and kayaked, all in the pouring rain! In addition to flightseeing, we rode the rails, took a boat to the Kenai Penninsula during which we viewed wildlife and calving glaciers, and rode a tram to the top of Mt. Alyeska. Throw in the bus ride into Denali and the automobile transfers and there aren’t too many modes of transportation we failed to experience! Judith routed us from Fairbanks to Anchorage in a manner that maximized how much of the state we could see and minimized the stresses of traveling on a tight schedule. Every detail was seen to, and when the occasional problem arose, one phone call and Andrea sprang into action. In addition, I believe that Judith’s connections and reputation enabled us to secure reservations that we might not have been able to on our own, given the relatively short time we had to plan the trip. These same attributes gave us confidence that the excursions we took–particularly those that were on the riskier side–were booked with companies that have been vetted for both pleasure and safety. In short, I cannot recommend Judith and her team highly enough. If they are indicative of the quality of all of Wendy’s travel experts, this trip to Alaska is the first of many WOW trips that well be taking! Everything was just a delight! 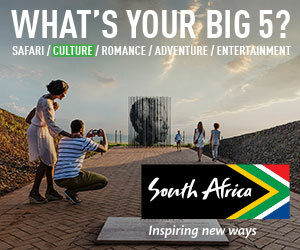 This was a ‘wow’ trip for us!!! From the beginning of planning this trip thru execution and completion of the process when smoothly and there were, fortunately, no unexpected situations. Judith and her team were there to answer any questions or provide insight on possible excursions and depending on what we wanted to see and do they provided many options. This was our third trip to Alaska and this trip was completely land-based. Judith and her team provided insight and opportunities for excursions and we could select to make this trip a ‘WOW’ trip for us! Also, my husband recently had knee unexpected knee surgery and we were not sure if this trip would happen. Between my husband’s determination to go by doing all the necessary therapy and exercises and also Judith being aware of this recent situation, some of the hikes could be adjusted to how he felt with the terrain and length. The vans used for transportation were very comfortable and accommodating of his knee situation. The guides we had for the various parts of the trip were exceptional with their in-depth knowledge of the area and history. And a willingness to work with us on things we might want to see and visit. For example, we had visited Fairbanks before but didn’t have time to see the Alaska Pipeline area. Our guide Karen drove us to a very nice stop and provided us with a lot of information that you don’t get from reading a plaque or even a guidebook. Additionally, Karen drove us to the Alaska Bowl Factory, my must stop, as we didn’t have time to stop on a previous trip. Karen took us to ‘Creamery Field’ to see the Sandhill Cranes, such an unexpected delight. And Anne, our driver/guide from Denali area to Talkeetna, was also a gem. She stopped several times for us to take pictures of Denali. And I appreciated her in-depth knowledge of the area. And we did a nice hike around part of Byers Lake. Anne spotted several birds and was able to share insight on the various plants in the area. We had a delightful picnic lunch at Byers Lake. From the guide in Fairbanks; to the air trip to/from Anaktuvuk; Bus trip to ‘The End of the Road in Denali Nat’l Park and flight back; the weather – beautiful clear days of Denali; salmon fishing in Talkeetna; seeing bears at Brooks Falls; getting a private tour at the Morris Thompson Native Heritage Center – it was arranged and went smoothly. Everything was just a delight! We learned so much and appreciated having some time with our guides and being in nature. We, my husband, and I, thoroughly enjoyed the trip and all the things we were able to do. And without Judith’s knowledge as to where to stay, what flying companies to work with, what fishing licenses were needed and the many details and connections that were necessary for this trip, I could not have put it together without being frazzled and worried about making sure things worked as intended. This was a delightful stress-free trip. We had several flying trips that required transportation before and after the trip and then even one way to and from the various airports in Denali National Park. My husband and I are still trying to digest this trip. It was just wonderful! Judith and her team even arraigned the weather for us to get a ‘clear’ view of Denali. A special highlight that Judith arranged for us was lunch with Martin Busher. I think my husband really enjoyed meeting the dogs at Martin Busher’s homestead. The puppies! One about fell asleep in his arms. We did catch fish – 15-pound salmon. I caught 7 and my husband caught 3. We had never fished before and the guide we had was perfect. And the weather was delightful, clear blue skies not to hot with a light breeze to keep the bugs away. I would recommend Judith Root and her team for any future Alaska trip! Judith listened to the type of Alaska experience we wanted to have. She and I had a couple of long conversations about an active holiday and an overview of Alaska. She planned an amazing, unforgettable trip for us. She was always available. I would recommend Judith to friends and anyone wanting an awesome, flawless holiday. Carol Wilson also was a partner to Judith in making our holiday to Alaska absolutely memorable. We already want to plan another adventure to Alaska. We are hooked. It was FABULOUS!!! And due to the professional aspects your company we will be using your professionals for a trip to eastern Canada. The individual activities included in the planned trip were excellent. All of the elements we were looking for were there and the pacing was exactly right for us. We were especially pleased with three of the activities. The private guided tour with Dixie Alexander at the Morris Thompson Cultural Center was superb, a once in a lifetime opportunity to learn from a native Athabascan. The fishing excursion with Phantom Tri-Rivers Charters was a high point of our trip as both my wife and I, with essentially no previous experience, were able to land 30 pound King salmon. Finally, the stay at the Kenai Fjords Glacier Lodge was everything we could have hoped for and was made memorable by an all-day kayaking expedition to the glacier. The only element of the trip that we might have reconsidered was the bear viewing trip to Chinitna Bay. While we did indeed see many brown bears, they were a great distance away and it required two lengthy flights in a most uncomfortable (at least for someone over 6 ft tall) prop plane. Even so, we were not unhappy that we did it. Judith organized a memorable and outstanding trip for us in July 2017. We stayed at Backcountry lodges with like minded people who love hiking, biking, canoeing, kayaking, and traveling to wilderness and pristine areas of the world. We saw grizzlies, black bears, and moose, caribou, bald eagles, insects, fish, flowers, birds, squirrels, voles, etc. We saw (and heard!) rivers, waterfalls, mountains, meadows, tundra. We hiked, rode in seaplanes, helicopters, wheeled planes, buses, shuttles, and cars, and we ate some of the best food we’ve ever had. All around, an excellent trip! Perhaps one of the most glorious things about traveling is getting the privilege of seeing something magical that you didn’t fully expect to get to see, or seeing it even better than the best you might have expected. Seeing the Northern Lights in the Arctic circle was one of those encounters. It happened for us in a small Cessna flying to see Mount Denali up close. The sky was blue and calm, and we had a 26 year veteran pilot who flew us up and all around the giant landmass that is Denali. We could even make out Base Camp and some of the tents there, and even some tracks of climbers who were there, and of the trails their sleds made carrying supplies for their summit run. We saw the mountain from all sides and all faces, and the majestic Alaska Range surrounded us, jagged and bold and white — the snow looking like meringue or sorbet — like you could just scoop up heaps of it in your hands. I never dreamed we could get so close to the sheerness and boldness of it — it was awesome. Alaska is so big, so vast, so pristine and wild. So fresh and clean and clear and empty. So full of nature. Like America probably was 200 years ago. It was fascinating to see it with naturalist guides, hear talks with experts who live and work there, and feel the soft, spongy tundra under our feet, the bounce when we walked on it, the hard permafrost, the boreal forest, the taiga, the deep snow, the glaciers and ice under us when we walked upon it with crampons — a geologist’s heaven. The weather can change in a second — you can have all four seasons in one day, and have to dress in layers and have waterproof clothes and boots — all of it a hassle, but still, worth the effort to get to experience a land so raw and honest and real. There are huge amounts of land where you can only access by seaplanes, helicopters, other small planes or boats. There are very few roads. Our entire trip went like clockwork — BAC transportation was always there, right on the dot, and considerate to text us they were on the way every single time. All of the transfers worked perfectly. The lodges and staff were all wonderful, the planes were all well maintained and flown by experienced pilots, the food was delicious — everything was perfect — couldn’t have gone better. Judith even organized the arrival of Diet Dr. Pepper everywhere we went — such an unexpected treat!! Thank you, Judith! My family of four including my husband and myself and two adult children travelled to Alaska on a trip planned by Judith Root. Judith listened carefully to what we were looking for in an Alaskan vacation and put together an excellent itinerary that exceeded our expectations. All details of the trip were handled by Judith and her team and we had a fantastic vacation that we would rank among the best-ever holidays we have had. I would not hesitate to recommend Judith to plan a memorable and enjoyable Alaskan holiday.